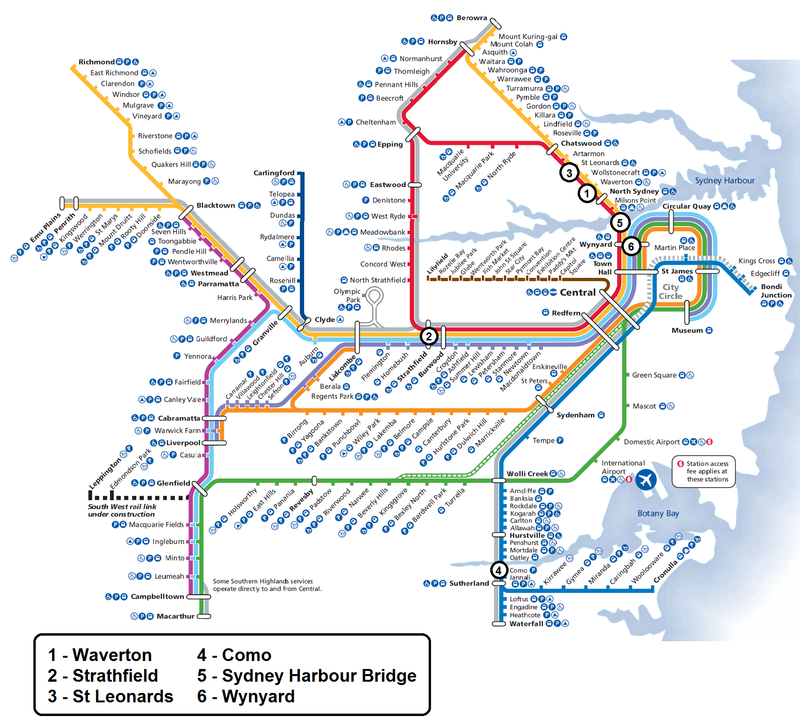 Five major disruptions resulting in suspension of services occurred in Cityrail’s suburban network during the month of February, with a sixth in the first day of March. (See below for details of these disruptions.) Three of these suspensions lasted for a number of hours, requiring the deployment of rail replacement buses. This represents a serious deterioration on Cityrail’s regular performance. Affected commuters were also given the option to use their tickets on other modes of transport in order to lighten the load. This is yet another reason to support integrated fares, which would allow this sort of approach to be the norm, rather than the exception. The state Opposition has responded by calling for a fare free day, which was subsequently rejected by the government. The argument against a fare free day is that it takes money away from public transport that is needed to improve the system. In addition, most of the benefit will go towards higher income professionals who work in the CBD, people who can afford to contribute the 28% of the operating costs of Cityrail which their fares recover and so should not be subsidised further via a fare free day. However, when an organisation provides poor customer service (regardless of who is at fault), it is quite common to provide the customer with some sort of token gesture of apology. Given the exceptional nature of the disruptions caused in February, a fare free day would go some way to dissipating the frustration of those affected and try to recover at least some of the goodwill that was lost in that month. Details: In what appears to be an error during the previous weekends’ trackworks on the North Shore Line, overhead wires were tangled near Waverton Station and discovered by a train driver passing through there in the early morning. Services were suspended, with delays spreading to all lines on the network other than the Eastern Suburbs and Illawarra Lines as they are operated separately from the rest of the network. The overhead wires were not fixed until the late morning, with trains back on schedule shortly before the evening peak. Details: A fire in the air conditioning unit in the Strathfield signal box caused an evacuation of all staff in it. This signal box controls all lines other than the Eastern Suburbs and Illawarra Lines, which are controlled out of Central, resulting in a brief suspension of services and then delays until late into the evening. Cityrail was criticised for not having redundancy plans in place to run signalling operations from Central as a back up option. Details: A broken down train in St Leonards at the beginning of the afternoon peak caused delays that continued until the mid evening. This also coincided with the evening of Valentines Day. Details: A broken down train causes a suspension of services between Sutherland and Hurstville for the whole of the morning peak. Trains did not return to timetabled operations until the early afternoon. Further disruptions occurred in the afternoon peak on other lines in the network, but did not affect the Eastern Suburbs and Illawarra Lines. Details: A loose piece of metal was spotted hanging above the train tracks on the Harbour Bridge, resulting in a suspension of services between Wynyard and North Sydney. Services did not resume until the late evening. Unrelated delays on the City Circle spread to the Western and Northern Lines. Details: A fire in the train tunnel at Wynyard suspended trains in the mid afternoon between Wynyard and North Sydney Trains returned to timetabled service by the afternoon peak.